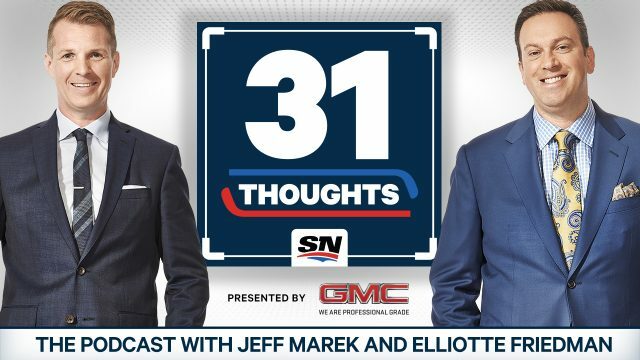 31 Thoughts: Can Maple Leafs’ marriage between coach and GM last? • Babcock, Dubas on same page? Ideally, you want your team to be in “perfect the process” mode three weeks before the playoffs. Work on those details, make sure you’re sharp. Last Thursday’s practice between the 5–4 loss to Chicago and 7–6 win over the Flyers featured Babcock at his most demonstrative. He was forceful, emphatic, pushing the pace to higher levels. Nashville was actually an improvement over what we’ve seen lately, but the offence dried up as the goals against decreased. The Leafs fell into one of the city’s massive potholes on March 11. There have been Mariano Rivera-esque closings by some of this decade’s Stanley Cup champions from that date on. Washington was 11-3 in 2018; Pittsburgh 14-2 in 2016; Chicago 15-5-2 in 2013; Los Angeles 9-2-3 in 2012. There’ve been slumps. The Penguins had a four-game losing streak at the end of March in 2017; the Blackhawks went from 9-3 to 9-7 in the last games before the 2015 playoffs; the Kings and Blackhawks had two different three-game losing streaks in 2014 and 2010, respectively. Whatever the case, everyone who’s won the Cup this decade had a winning record since that day on the calendar. Starting Wednesday in Buffalo, the Maple Leafs have nine games remaining. We’ll see where it goes. But what really threw everyone was the off-ice commentary. Considering the numerous distractions — from contract negotiations to roster moves to everything else — everyone’s done a reasonably good job of trying to focus on what really matters. They are, after all, sixth in the NHL. Babcock is unafraid to challenge. Since arriving in Toronto, owner of the richest coaching contract in NHL history, he’s challenged players, evaluators, executives and himself. That’s who he is. He grinds and grinds and grinds some more. Dubas’s ascension brought a new perspective. He may not be as outwardly passionate as Babcock, but do not underestimate his commitment to his path. I’m not talking about analytics, but valuing different players. He believes in those who’ve come through the Marlies. Several who developed there are (or should be) important members of the core for years to come. We also know that Dubas, whether at OHL Sault Ste. Marie, AHL Toronto, or now with the Maple Leafs, believes his teams should strive to win a certain way. Blue-line injuries + Frederik Andersen looking merely human = exacerbated everything. It’s tense. The playoffs are coming and the pressure is rising. The focus should be on repairing the problems and focusing on the playoffs. This is too important a time of year. Babcock’s not walking away, but is anyone else wondering if this marriage is in trouble? 1. Adding to all of this is the fact Toronto is closing in on an extension with Sheldon Keefe, who coaches the Marlies. 2. The other really odd thing about Toronto is for all of its talent (and there is a ton of it), the team is 30th in power-play opportunities with 189, one ahead of Dallas. Over 82 games, that pace would put them at 212. Since the change in officiating standards in 2005–06, only two teams have had fewer man advantages in a full season than that: last year’s Oilers (210) and the 2016–17 Blue Jackets (211). You can tell it is a bone of contention among the team, but no one wants to come across as criticizing a lack of calls. 3. I have seen some of The Russian Five — a documentary about the Detroit Red Wings unit that changed the NHL forever while cementing the arrival of the organization’s winning legacy. It is very good, and begins its release across the United States on Friday. Colorado, Illinois, Indiana, Michigan, Minnesota, Texas and Washington start the rollout with more locations coming soon. Check out the film’s website for more information. Highly recommended. 4. No extension talks yet between Vancouver and Jacob Markstrom, and I’m curious to see how long the Canucks wait. He’s got one year left at $ 3.6 million, and it is a good time to be a talented goalie with freedom in your future. Another expansion team thins out depth at the position, and if Mikko Koskinen is worth $ 4.5 million, what’s Markstrom’s number? He can’t officially be signed until July 1, but you can talk. If the Canucks are confident in his rise — and they know him better than anyone — they should go for it. The number rarely goes down. 5. I think Vancouver is going to look at finding a youngish defenceman, maybe somebody in his early to mid-20s. Troy Stecher’s in that range, and he’s made real good strides. Quinn Hughes is younger, Alexander Edler and Chris Tanev older. Think Brandon Montour, if not him specifically. Those players tend not to be inexpensive as trade pieces. 6. 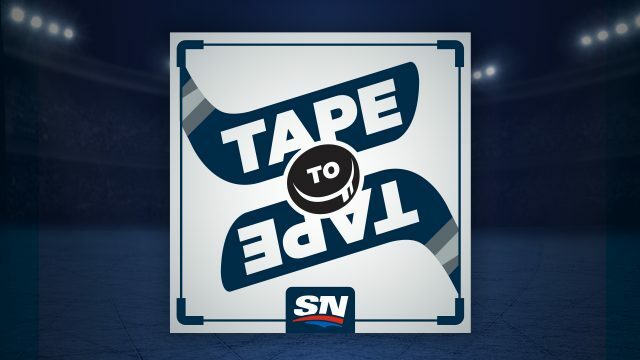 Really good between-periods interview last week with Oilers host Gene Principe and Alex Chiasson, who scored his 20th goal of the season in the first period of a 6–3 loss to New Jersey. It was 2–2 when Principe asked the winger about the accomplishment, and Chiasson opened a big smile. As of last weekend, there were no extension talks going on between Edmonton and Chiasson. I’m surprised at that. There’s always a negotiation, but it is a good fit for both. 7. Carolina’s Sebastian Aho played 4:18 of the five-minute overtime in Tuesday’s 3–2 shootout victory over Pittsburgh. He was on the ice for the first minute, got 42 seconds of rest and never left the ice again. Butler also brought up Mark Giordano. “Calgary took a chance on him at age 20, for what, a $ 25,000 signing bonus? What’s the difference? If you’re going to gamble on an NCAA player at 24, why not this guy at 21?” Several teams will go see Brazeau, and Butler says he’s made a few calls on the player’s behalf. Columbus and Vegas are believed to be among those interested. I looked into that, and got some pushback. By going to Denver, Savoie knows he can play with older brother Carter, who has already committed to the Colorado school. 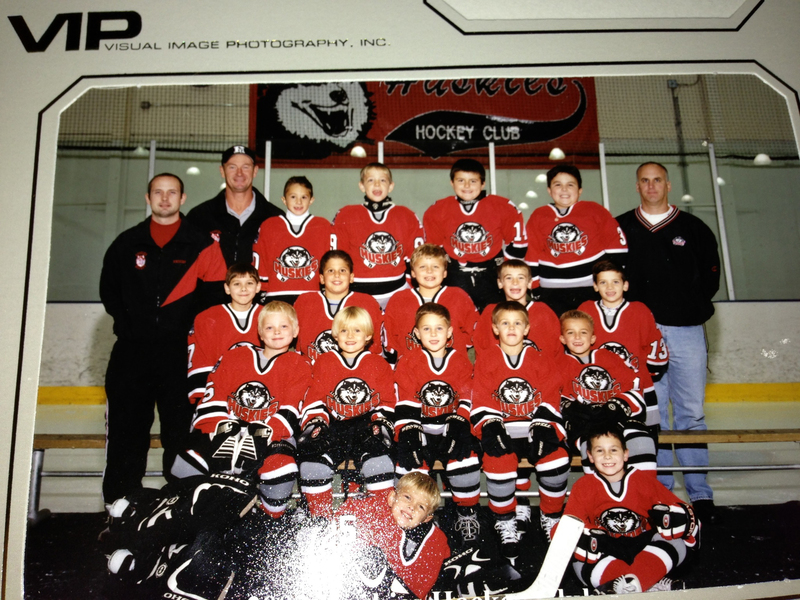 They can also go to the USHL together, because players can pick their spots. 12. Speaking of Giordano, only one other defenceman has won his first Norris Trophy at age 35 or older. That’s Al MacInnis, 35 on the nose in 1999. Giordano will be 36 in October. He’s got a great shot at being number two. 13. Also: 35-year-old (or over) defencemen with 60-point seasons: Nicklas Lidstrom (four), MacInnis (two), Ray Bourque, Sergei Zubov…and Giordano. He’s got 68 this season, 14 behind Bourque’s 35-and-over high-water mark from 1995-96. 14. Washington scored one for local hockey this week by signing NCAA Yale’s Joe Snively as a free agent. From Virginia, he told a great story about meeting Alexander Ovechkin years ago at the dentist and getting his gloves signed. In 2016, the Capitals drafted Quinnipiac defender Chase Priskie, who had 39 points in 34 games. He’s creeping closer to free agency and will have a choice to make. He’s talented. 19. The Sabres do like playing Rasmus Dahlin and Brandon Montour together. They are aware both can’t charge up-ice without making sure someone is back, so they make sure someone stays home. 20. San Jose takes pride in its scouting, which finds players even though they don’t draft high. Portland’s Joachim Blichfeld led the WHL in scoring. Baie-Comeau’s Ivan Chekhovich was second in the QMJHL. Split between Guelph and Peterborough, Ryan Merkley was second among OHL defencemen. 21. Joe Thornton and Patrick Marleau are within 45 of Pierre Turgeon and Brendan Shanahan for second place on the list of most combined points by the top two picks in any draft. The current Shark and ex-Shark are at 2,636. Second-best active duo is Alexander Ovechkin and Evgeni Malkin, at 2,205. (They are fourth overall.) Number one overall? Guy Lafleur and Marcel Dionne from 1971, with an astonishing 3,124. Seems insurmountable. 22. When Arizona traded for Darcy Kuemper and extended him, there were lots of doubts. Before things fell off the rails this season, analytically inclined teams would tell you no one protected their goalies better than the Kings. (This is not to be used to insult Jonathan Quick, who is plenty good.) They were excellent at covering the weak side, shutting down high-quality chances and preventing tips. As a result, some clubs felt you had to be careful with anyone who left there. The Coyotes felt Kuemper was better than that skepticism. He’s saved their season and given them a surprising shot at the playoffs. 23. Last week, there were two controversial net off-the-moorings plays involving Toronto. The first was Collin Delia on Wednesday and the second was Brian Elliott on Friday. Because it involved the Maple Leafs, it was mass hysteria, but there’s no way the NHL wants this to be a problem during the playoffs. The league sent out a memo on Saturday asking teams and officials to be vigilant about making sure the net is set properly, that the holes are dug correctly and snow is not allowed to accumulate to the point of being a problem. We can’t go back to longer pegs. If you’re old enough to remember Mark Howe’s injury, or you saw Mathew Barzal go hard into the net versus Minnesota on Sunday, you know that’s an awful idea. But, goalies are bigger and stronger than ever, and they are using the net to push off more than ever. There’s going to be some brainstorming. 24. One thing the league will do is remind everyone that there are stiff penalties for getting caught. Winnipeg’s Connor Hellebuyck was penalized on March 3 versus Columbus. If you do it in the last two minutes of a game, it’s a penalty shot — and the Rangers’ Alexandar Georgiev was caught last year, giving Evgeni Malkin the opportunity. Last month, the league awarded TJ Oshie a goal when Ottawa’s Anders Nilsson knocked off the net before Oshie’s shot went in. Awarding a goal is legal under NHL rules. 25. Addendum to all of this: I was surprised the NHL did not award Elias Pettersson an automatic goal when Anton Khudobin lost his stick during a penalty shot last Sunday in Dallas. Goalies are smart. They’re going to try it. Giving Pettersson a score eliminates copycats. Grabovski admitted this was true. “I hate being late, but I always rush.” It was two blocks from what is now Scotiabank Arena, and people were honking as he blocked one of the two lanes. Longtime equipment manager Bobby Hastings was dispatched to retrieve the automobile. Grabovski claimed that he scored that night, which makes you wonder why he didn’t do this all the time. 28. From the NHLPA poll, put me down at 100 per cent behind the idea of players having a weekend where they can pick a nickname for their jerseys instead of their actual last names. Would anyone beat whatever Brad Marchand picks? 29. On April 2, the NHLPA will hold its annual agent meeting in Toronto. The most intriguing item on the agenda will probably be some kind of labour update. As best as I can tell, the NHL and the union continue to meet in small groups — not much bigger than Commissioner Gary Bettman, Deputy Commissioner Bill Daly, NHLPA Executive Director Donald Fehr and brother Steven, working as Legal Counsel. Word is the league has presented some kind of model that will decrease escrow. In exchange, that likely means more certainty in the salary cap numbers from season-to-season, with smaller increases as part of that. Maybe more clarity on that date. 30. Undoubtedly, there will be conversation about a claim made by former NHLPA consultant Richard Rodier, who has been saying for months now that the players’ association should ask an arbitrator to determine if up to $ 1 billion is owed to it due to misreported revenue. I’ve spent a lot of time looking into this, and to say it is complex is a massive understatement. Rodier, hired by the NHLPA in 2011 and fired in 2015, is relentless, an absolute bulldog on these issues. Going back to his days working with Jim Balsillie, he’s been a thorn in the side of the NHL, and now the union. Multiple times, the NHLPA has denied Rodier’s charge, saying it has investigated his position, and found it to be lacking. He refuses to accept that. Earlier this week, a forensic accountant wrote on behalf of 28 retired players asking the NHLPA to investigate Rodier’s claims. I’ve been wary of that particular thing because, when this first came up a few months ago (and not through Rodier), while some players did say their names were properly included, others refused to confirm or deny, and at least one said he did not give permission to be included. The other problem is that most of the agents I have asked about this do not support it on behalf of current players. At this time, they are not convinced about the merits. Until the current group is motivated to pursue, this will not go anywhere. And, I get the sense there is serious concern that division in the NHLPA will weaken and damage it at an important time in negotiations with the league. I don’t know where this is going to go. A lot of people try to be funny on Twitter. Turner actually was funny on Twitter, and, during his career, he gave the people exactly what they wanted. He died last week at 57 after a battle with cancer, and The Winnipeg Free Press re-published a lot of his work as a celebration of his life. What a talent. Personally, I value reporting more than writing. What a brilliant reporter, one of the best I’ve known.